Funeral services for Karen Gatewood, 75, of Mobridge, will be held at 10:30 a.m., on Saturday, Jan. 27, 2018, at Trinity Lutheran Church. Burial will be at Greenwood Cemetery under the direction of Kesling Funeral Home of Mobridge. Visitation will begin at 4 p.m. on Friday with a prayer service at 7 p.m. at Kesling Funeral Home. Karen Louise Shillingstad Gatewood made her transition peacefully on Sunday, Jan. 21, 2018. Karen was many things to many people, but most of all Karen was a believer. Karen believed in Jesus the Christ and loved to study and teach what she learned. She was the happiest when she was sharing stories of unconditional love, divine principles and spiritual teachings. Karen believed in angels and the spiritual realm. Karen studied spiritual doctrines Buddhism, Hinduism, Christianity, and she truly believed Jesus the Christ came to model the way for us through love, sacrifice and forgiveness. She liked to think of Him as a big brother. Karen was a spiritual being. All those around her felt loved and accepted. She believed in paying attention to your dreams and the messages that were delivered through them. Karen was a teacher and counselor by education. Yet spiritual truth and alignment with Christ’s teachings was her never-ending goal. Karen was the oldest of five children born to Glen and Eileen (Dame) Shillingstad. She graduated from Mobridge High School in 1960 and attended Northern State College in Aberdeen, where she began her studies in elementary education. She received a Bachelor of Science degree in elementary education and a Masters’ degree in guidance and counseling from North Texas State University in Denton, Texas. Karen was the first among her family to obtain a college degree. Karen married Willard (Jim) Harrison on June 9, 1963. They made their home in Denton. They had one son, Glen Paul Harrison. Karen loved being a mom. When her sisters talked about children, some enjoyed babies, some older children. Karen said she loved absolutely every stage with her son. Karen and Jim divorced and she married Paul Gatewood on July 8, 1978. That marriage too ended and Karen remained single the rest of her years. Karen’s journey to Texas led other family members to follow to the area. Her younger sister Kay moved to Texas and married. Her cousin Carol Godkin also spent a few years there as did her younger sister Kelly. There are many fond family memories of trips to the Dallas/Fort Worth area. 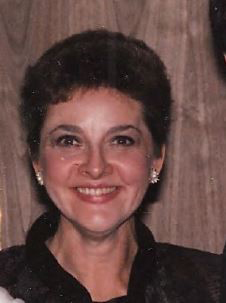 Karen lived and worked in north Texas for more than 25 years. She worked as a teacher, counselor and guidance consultant in north Texas schools. She also worked for Fox and Fletcher, a search firm in Dallas, which facilitated third party recruitment for privately held “Fortune 500” corporations. Karen later had a private counseling practice where she counseled patients and conducted workshops on communications skills, principles of success and motivation through positive attitude. Karen was an active member of Unity Church in Dallas. She spent several summers in Lees Summit, Mo., to become a licensed Unity teacher and returned to the Dallas area and taught classes as well as performed baptisms and wedding ceremonies. Karen was a student of the “Course in Miracles” series and she would share many of the lessons with friends and family. In the spring of 1987, Karen took a position at the Aberdeen Area Career Planning Center and relocated back to South Dakota. Although it was difficult leaving two of her adult sisters and her adult son behind in Texas, she was excited to be closer to sister Gloria and her family and she was only a couple of hours away from her parents. A few short months in her new career path, she suffered a severe cerebral aneurysm, which changed everything. Karen went from an independent, self-sufficient career woman, to someone who was unable to be left alone. Karen went through months of hospitalization and therapy and was able to make great strides. She had to learn how to walk, talk and perform simple tasks again. Karen spent several months at the University of Minnesota and at the Black Hills Rehabilitation facility in Rapid City. Karen returned to her family home with her parents just east of Mobridge. While there, Karen was a tireless helper for her parents. She also helped read and play with children at a local daycare. Karen lived with her parents until their passing. She then spent time with sister Kelly and Tim, helping raise their family. Karen returned to Texas to be with her sister Kay and Raymond. Karen moved to Mobridge Care Center as her physical abilities began to decline. Karen remained loving and positive throughout the challenges that she encountered. Karen believed and helped others by her example. Karen is survived by her son, Glen Paul Harrison and his wife Corina of Denton; her sisters and their husbands, Kay and Raymond Riney of Argyle, Texas, Gloria and Jim Barringer of Aberdeen, and Kelly and Tim Spillman of Mandan, N.D.
She was preceded in death by her parents, Glen and Eileen Shillingstad, and her brother, Dale Shillingstad.